Why do my scans always look different than my certificates? Controlling color is the most challenging of all the problems related to scanning certificates. I feel that unrealistic or unsatisfactory certificate color is a universal rule of scanning. Is it possible to get accurate colors? I'm unconvinced we can get 100% accurate colors with low-priced equipment and uncalibrated monitors. However, I think we can achieve reasonably close colors. Let your scanner bulb warm up before scanning. 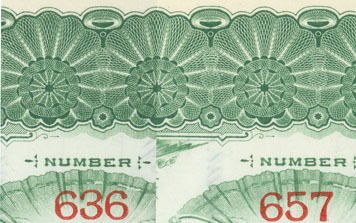 Many flat-bed scanners use tiny color-balanced fluorescent bulbs to illuminate documents. If your scanner has such a bulb, let it warm up adequately before scanning. Some software offers a setting to allow you to choose whether you want fast scans or longer warm-ups. If offered the choice, choose patience. Close your scanner lid completely. Almost all photo collectors depend on low- to mid-priced flat bed scanners with flat glass and a plastic lid. Do not let any extraneous light in. If you are in a room with incandescent light, and extra light gets in, that light will turn the edges of your certificates a little orange. Fluorescent light, common to office environments, adds a sickly, greenish cast. The easiest way to keep extra light from creeping is to place a heavy book on the lid during scanning. Keep a book handy and use it every time. If you experience light leakage, dim the lights in your room when scanning. 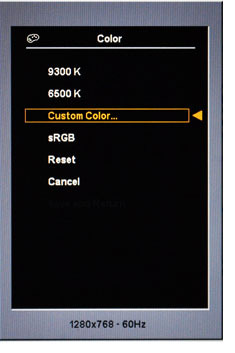 Turn off auto-color. Some scanning software adjusts image colors automatically. Such software identifies white areas and adjusts overall color so white areas come out perfectly white. The problem with certificates is that most paper is either aged or off-white. Any software that automatically adjusts colors will give poor results for certificates. In general, if you are scanning a certificate with aged borders, and very little other color, automatic color adjustment tends to force scan results toward blue. Brighten your images. Most people refuse to turn off auto-exposure. Unfortunately, auto-exposure is meant to work with ordinary documents and photographs, and ends up perceiving certificates as lighter than they really are. Consequently, certificate scans turn out too dark. When this happen, artificial color casts become obvious. If you brighten your images some (either during or after scanning), your scans may still have a color cast, but they will look better. Calibrate your monitor. Just because your scans look a little red or blue on your monitor, does not mean they really are. Uncalibrated monitors always impart color cast. Exact calibration is hard or impossible with many monitors. Equipment that measures monitor colors is expensive. Read your monitor's manual and you will probably find a way to improve your monitor's color accuracy. You will never get exact colors, but your certificates will look better. Decrease your contrast. If your scanner software allows adjustment, you might be able to improve your results by decreasing contrast. Contrast makes your blacks blacker and your whites whiter. From what I've seen, most low-priced scanners tend to make certificate images somewhat contrasty. As contrast increases, so does unintended color cast. Color adjustment during scanning. Assuming your scanner software allows manual adjustment, and assuming you are patient, try experimentation. Some software allows you to modify colors by adding or decreasing levels of red, green, and blue. It will take many attempts to get your colors closer to reality. But, when you do, record your settings so you can repeat your results. Don't let your eyes fool you. Our mind has a dramatic ability to ignore and delete color problems in real life. We also have much greater ability to see details in shadows than scanners do. Let's calibrate our perception with an example. Move your calculator, pencils and papers off to the side of your desk or table, completely away from your field of vision. Pull the cleanest stock or bond from your collection, ideally the whitest and brightest you can find. Place it on your desk. Mentally describe the colors to yourself. What color is the border? Is the border or underprint color a highly saturated color? Is there any paper coloration? Are the outer paper margins yellowish or brownish? Place your certificate aside, again away from your field of vision. Now, select the whitest piece of ordinary paper in your office or house. Retrieve your certificate and compare it against your white paper standard. Now, what do you see? How white and bright is your certificate? When compared with true white, how do your colors look? Are they still as brilliant as you thought? The point of this exercise is to show that your scanner, while not necessarily 100% accurate, is as entirely unemotional about your certificates. You will most assuredly see your collection differently than your scanner. You may not like your scanner results, but it might not be lying as much as you thought. Scanner color cast. As scanners age, color accuracy tends to migrate, especially if scanner uses a fluorescent bulb. It is not uncommon for bulbs to get darker at the ends, exactly like fluorescent bulbs you see in offices. Once bulbs age to that point, they will create gray stripes across your scanned documents and photographs. The edges of scans will get really weird. You can usually replace bulbs in expensive scanners, but cheap scanners often end up in the trash for no reason other than aged bulbs. A related issue. Because of the color tendencies of uncalibrated monitors, the certificates you see in online auctions will RARELY look like the images you see on your screen. Never, never, never expect on-screen colors to accurately reflect reality. Another related issue. Most collectible certificates were produced on small presses. Printers often inked plates or lithograph stones by hand and produced one certificate at a time. The variables of color printing can create noticeable color variation between certificates printed on the same press a few minutes or hours apart. Conversely, certificates issued decades apart might appear identical because they may have been printed within minutes of each other. Serial numbers added after printing offer no indication of actual print order. The image below shows two certificates with serial numbers in close sequence. The certificate on the left appears to have been printed with a darker green. Actually the two certificates are the exact same shade of green, but the plate that produced the certificate on the left was inked more heavily.